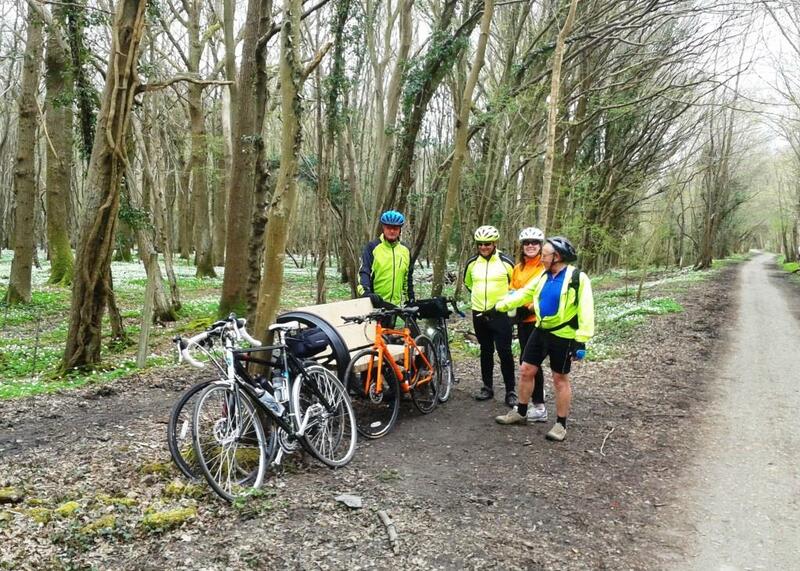 Our touring ride this morning (Tuesday) included cycling along the Cuckoo Trail from Hailsham to Heathfield and returning along country lanes through Lions Green to Muddles Green. There were bluebells aplenty along these stretches of the route; carpets of them in woodland glades. 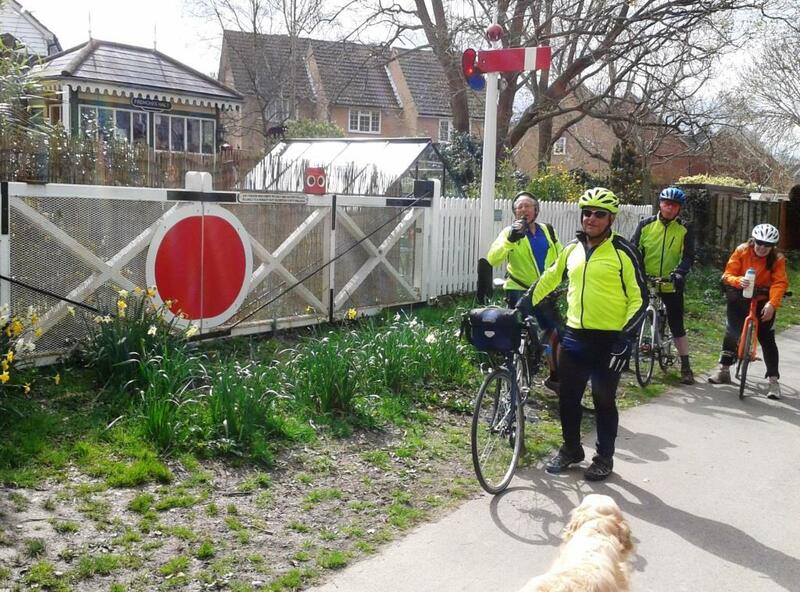 Five of us took part in this ride and at times we spent more time admiring the flowers rather than watching the path or road ahead but there were no mishaps. Apart from the bluebells there were primroses and wood anenomes and the occasional whiff of wild garlic. It made for a fantastic springtime cycling experience. The photo above is one such woodland glade on the Cuckoo Trail about a mile south of Horam. On both sides of the trail were extensive carpets of white wood anenomes with a few bluebells mixed in. Further along the Cuckoo Trail we came across Frenches Halt. It’s in a back garden which includes a signal box! Press the nose of Thomas the Tank Engine (on a poster) and all manner of things happen: the signal changes, a whistle blows followed by the sound of a steam engine puffing away; great fun! 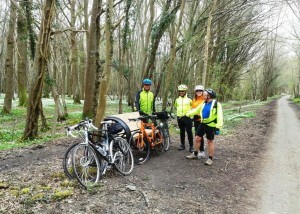 It was another super touring ride and at the end I felt we should have called it the Bluebell Cycle Tour. 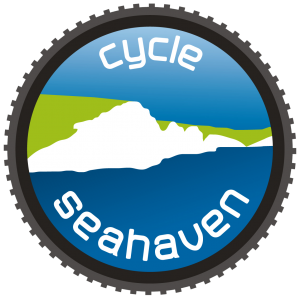 I’ll be repeating this ride on Sunday, 1 May. Not to be missed!